The U.S. National Academy of Sciences has declared gene editing one of the breakthroughs needed to improve food production so the world can feed billions more people amid a changing climate. Yet governments are wrestling with how to regulate this powerful new tool. And after years of confusion and rancor, will shoppers accept gene-edited foods or view them as GMOs in disguise? Researchers are pursuing more ambitious changes: Wheat with triple the usual fiber, or that’s low in gluten. Mushrooms that don’t brown, and better-producing tomatoes. Drought-tolerant corn, and rice that no longer absorbs soil pollution as it grows. Dairy cows that don’t need to undergo painful de-horning, and pigs immune to a dangerous virus that can sweep through herds. 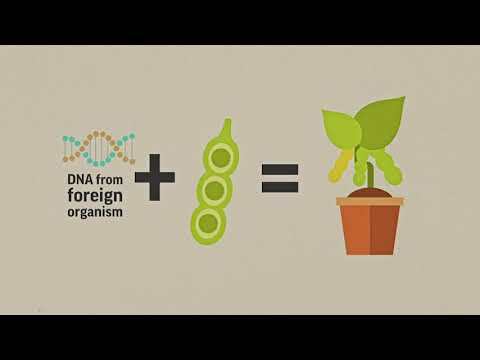 GMOs, or genetically modified organisms, are plants or animals that were mixed with another species’ DNA to introduce a specific trait — meaning they’re “transgenic.” Best known are corn and soybeans mixed with bacterial genes for built-in resistance to pests or weed killers. Now gene-editing tools, with names like CRISPR and TALENs, promise to alter foods more precisely, and at less cost, without necessarily adding foreign DNA. Instead, they act like molecular scissors to alter the letters of an organism’s own genetic alphabet. “Most gene-edited plants and animals are probably going to be just fine to eat. But you’re only going to do yourself a disservice in the long run if you hide behind the terminology,” Kuzma said. Despite her concerns about adequate regulation, Kuzma expects about 20 gene-edited crops to hit the U.S. market over five years — and she notes that scientists also are exploring changes to crops, like cassava, that are important in the poorest countries. “We think it’s going to really revolutionize the industry,” she said.